In 2016, when major platforms like Facebook gave developers the keys to the artificial intelligence kingdom, and advances in AI technology and natural language processing started breaking the user interface mold, analysts predicted that chatbots were going to change the game. Bots flooded the market—and then they vanished. They weren't backed with solid business models, addressing real pain points or solving problems, because marketers weren't asking the right questions, customers weren't engaging, and chatbots were too often gimmicks instead of disruptors. 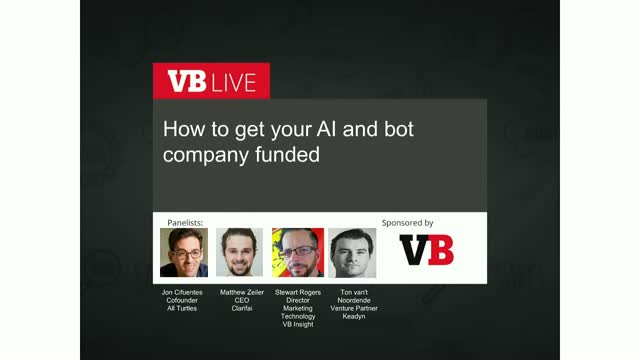 How do you become the next unicorn in the bots and artificial intelligence space? How do you catch the eye and win the heart of that top VC firm? Join our latest interactive VB Live event to find out!